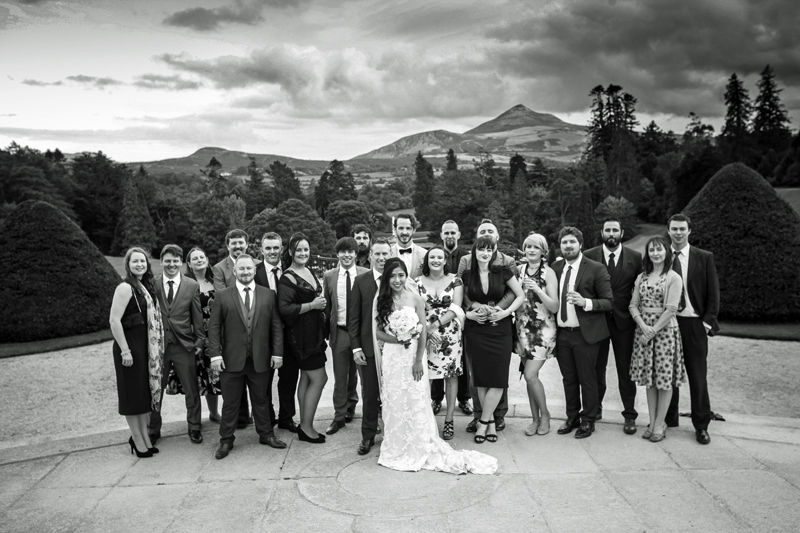 Throwback to this lovely interview with gorgeous couple, Michael & Ruby who celebrated their wedding with Feast in Powerscourt House! We actually met online through OK Cupid! I was incredibly nervous the first time we met in person as I thought Ruby was way out of my league. We met outside the gates of Trinity College in town and went to Stephen's Green park on our first date. I knew instantly that Ruby was someone very special, and I'm incredibly lucky to have met her! Tell us about your engagement? We chose our venue because? We're massive fans of Powerscourt. I took Ruby here on our second date as I wanted to show her the very best of Ireland. She had had some pretty bad experiences when she first arrived in the country and I wanted to show her that Ireland had a lot more to offer. She fell in love with Powerscourt immediately, and we've been coming here ever since! There was never really any question about where we wanted our wedding in Ireland to be! Favourite part of your day? Our favourite part of the day was directly after the ceremony itself. We were finally able to relax a little bit and enjoy the day in the amazing surroundings. The weather was amazing so we had the reception outside in the gardens, everyone loved the place! Try to relax and take some time during the day to take it all in. The wedding day passed so quickly that we both feel like we missed so much. You're so busy with photo shoots and meeting & greeting the guests that there's very little time for just the two of you. We have to say a massive thanks to Conrad from Feast Catering for all of his hard work. The day went flawlessly, and that's all down to Conrad and his team! He was completely unflappable on the day and we were (and still are) completely in awe of him!